The new watchword for design and lifestyle is doing more with less. Find out why Minimalism is not just a trend, it’s a way of life. If you’re an ‘80s or ‘90s kid, you were raised in a time where More was More. It was an age of McMansions, Paris Hilton, and Lifestyles of the Rich and Famous. It seemed that the desire to acquire was built in to the American mindset. However, the economic meltdown of ‘08 created a new movement toward practicality and frugality. The New Minimalism is about more than saving money and decluttering — it’s about how simplicity can create happier and more satisfying lives. Here are three of the biggest names in small living and how their philosophies can change your lifestyle. The goddess of Minimalism is Marie Kondo and her bible is The Life Changing Magic of Tidying Up. In it she advocates for a very simple philosophy of paring down clutter and simplifying your life. 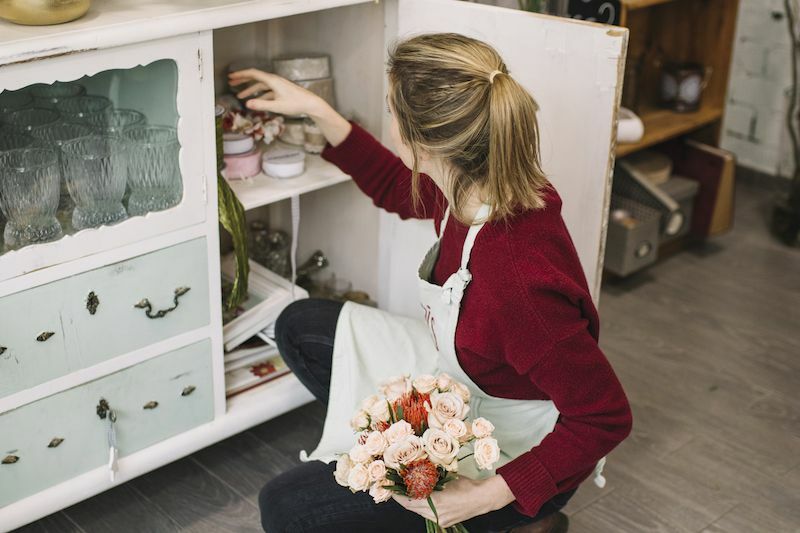 Every item in your home must pass a simple test: Does it “spark joy”? According to Kondo, if the answer is “no,” that item does not belong in your home. While it may seem overwhelming to get rid of clothes, books, furniture, and other items that fail the joy test, Kondo argues — and her legions of fans agree — that when you are surrounded only by those things that spark joy, you don’t miss the lesser items at all. Start with one category that is currently overwhelming your space — for many people this will be clothing or books — and put each item through the joy test. Once that category is complete, move on to another until you have thoroughly decluttered your home and brought peace to your space. Jonathan Fields Millburn and Ryan Nicodemus are American authors, podcasters, filmmakers, and speakers who travel extensively advocating Minimalism as an avenue to a happier and more fulfilling life. They tout the simplicity of a minimalist space and lifestyle as key to the transformation of their own lives and share practical ways of doing more with less. Their documentary Minimalism: A Documentary About the Important Things is currently streaming on Netflix, bringing their approach to a wider audience. Author and photographer Rachel Aust is known for bringing the concept of minimalism to a variety of areas of life beyond home decor and wardrobe. Her book Less argues that Minimalism as a philosophy can be applied to finances, cooking, cleaning, and even time management. As a photographer, she is able to illustrate the impact of Minimalism visually as well as textually, helping to make her philosophy even more clear and attainable. Looking for the right home but worried about having enough space? Taking a tip from one of these design and lifestyle philosophers might help you create a more streamlined space — and a more satisfying life. Talk to Boston Pads about the type of home you’re looking for and your favorite neighborhood. We’re here to help you, no matter where you want to be.